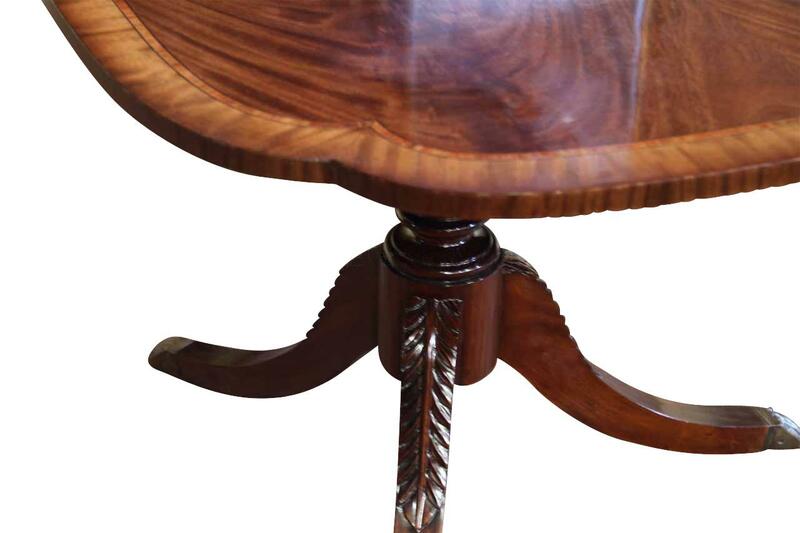 With all three leaves in place, this table will seat 12 people. 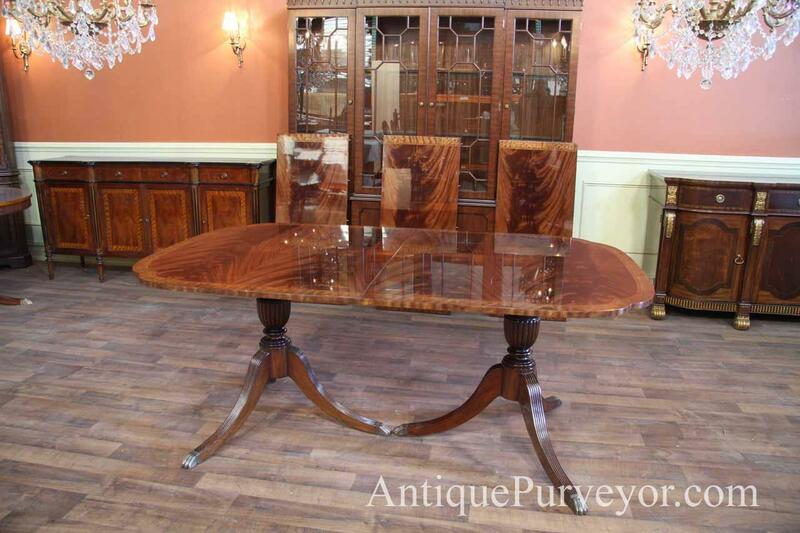 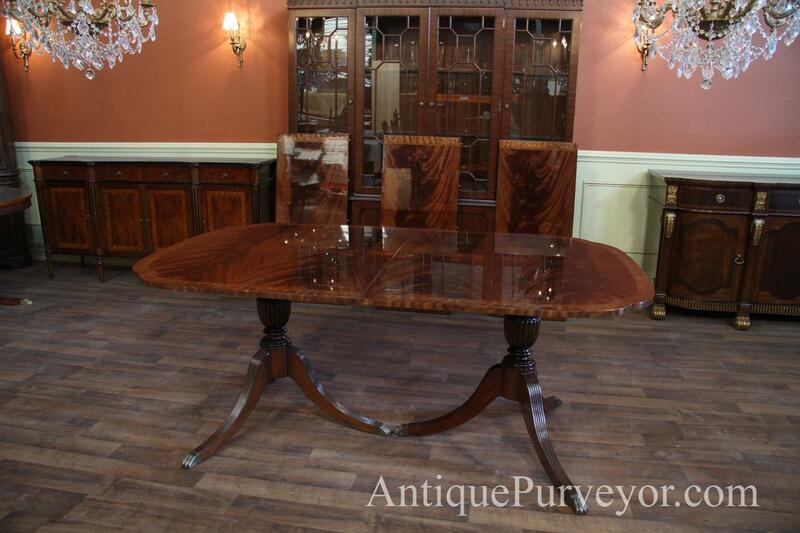 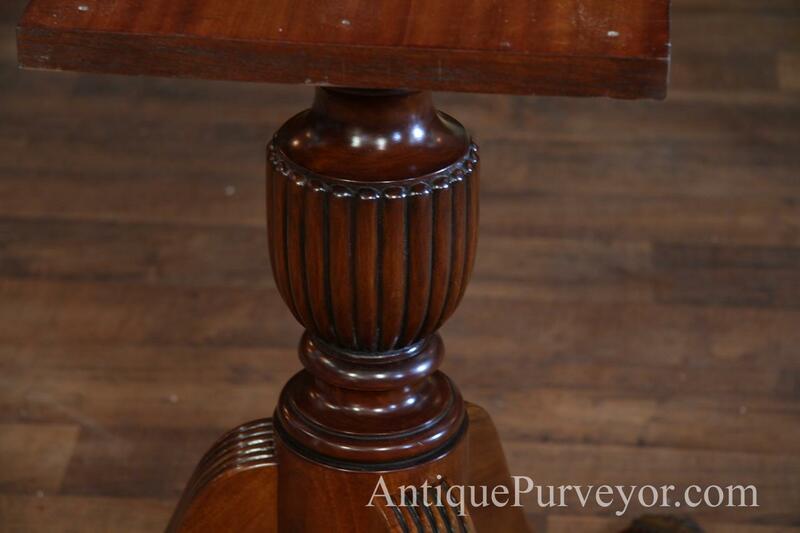 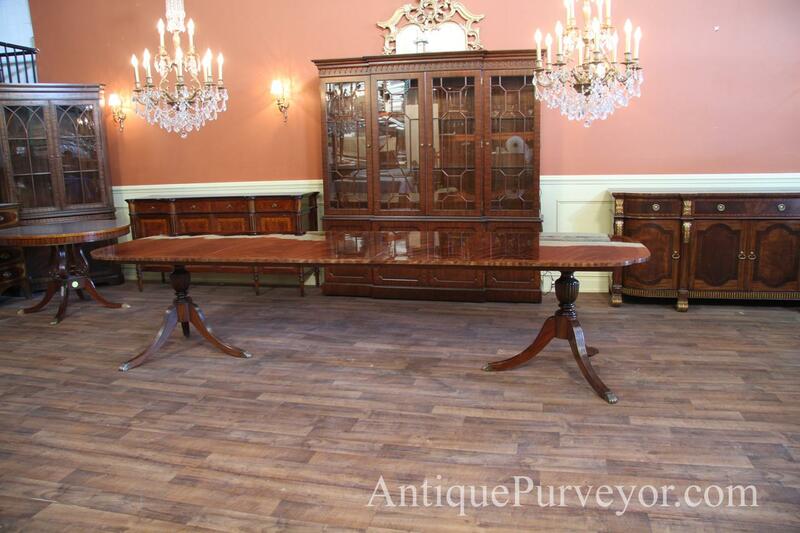 Description: Duncan Phyfe double pedestal scallop corner dining room table. 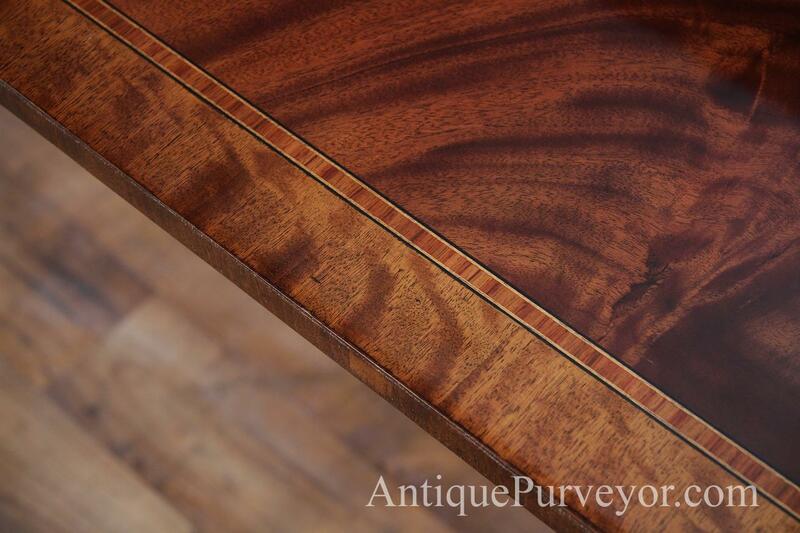 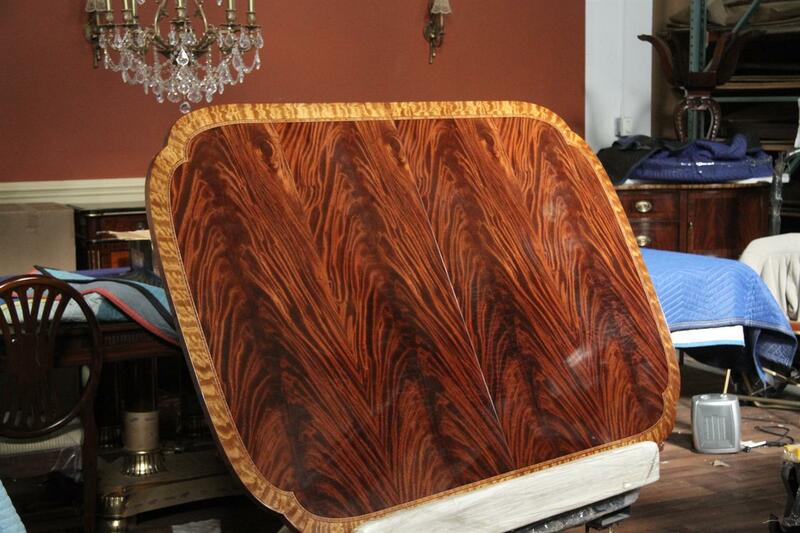 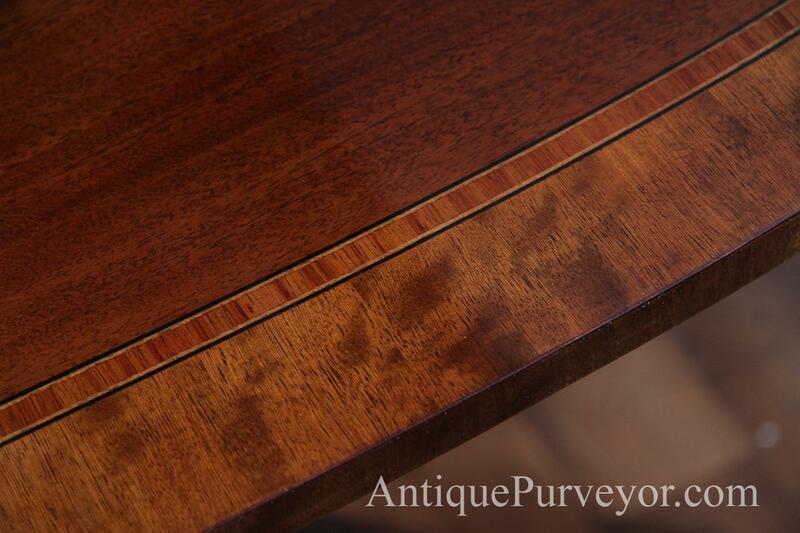 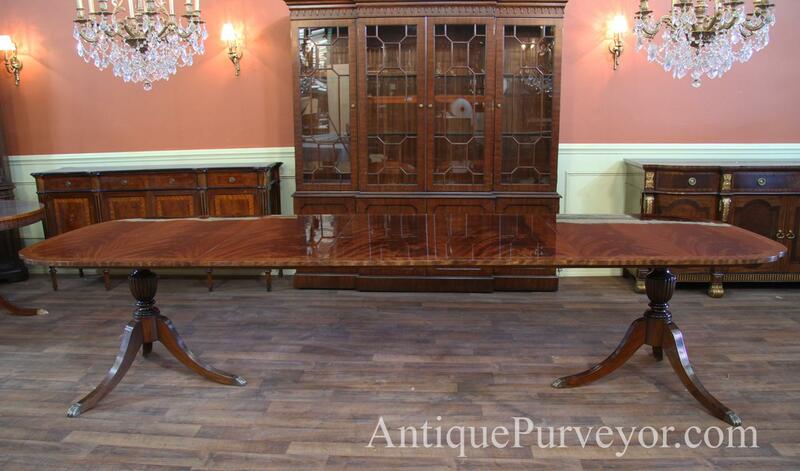 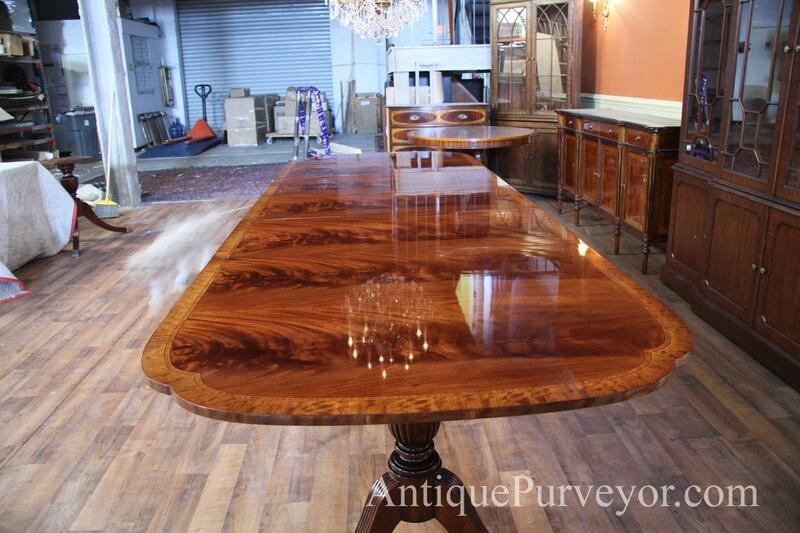 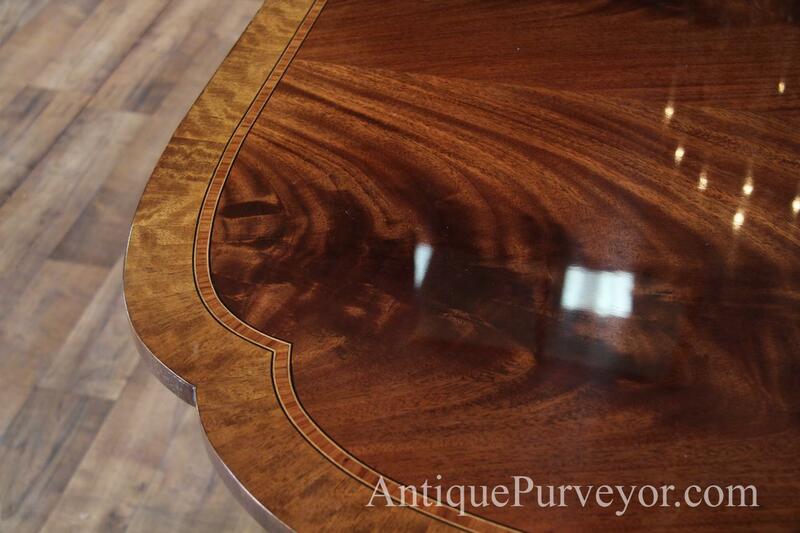 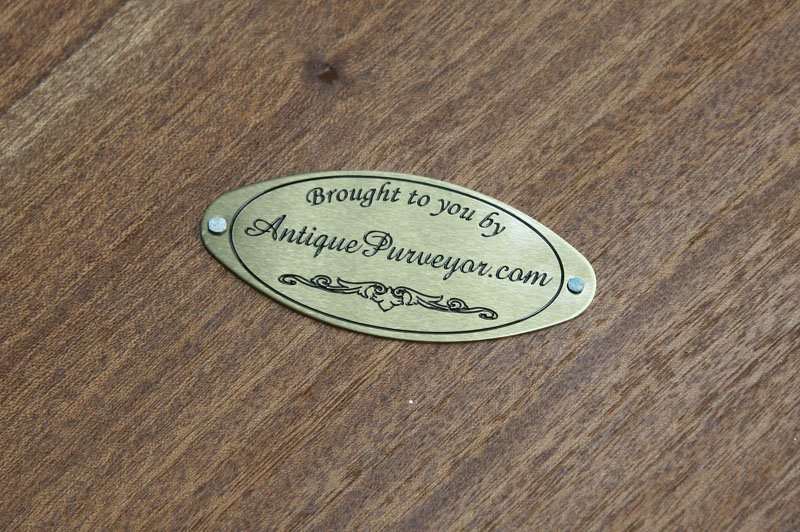 Inlaid mahogany dining table with 3 leaves opens to 134 inches. 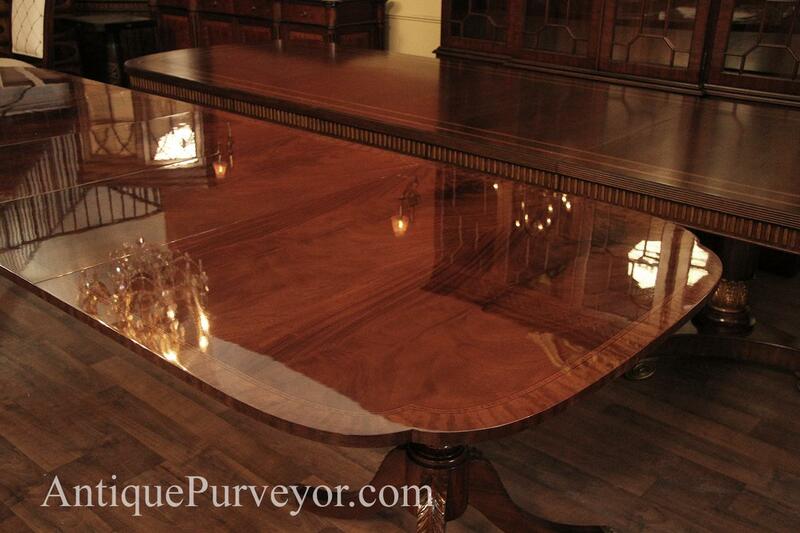 This table seats 12-14 people. 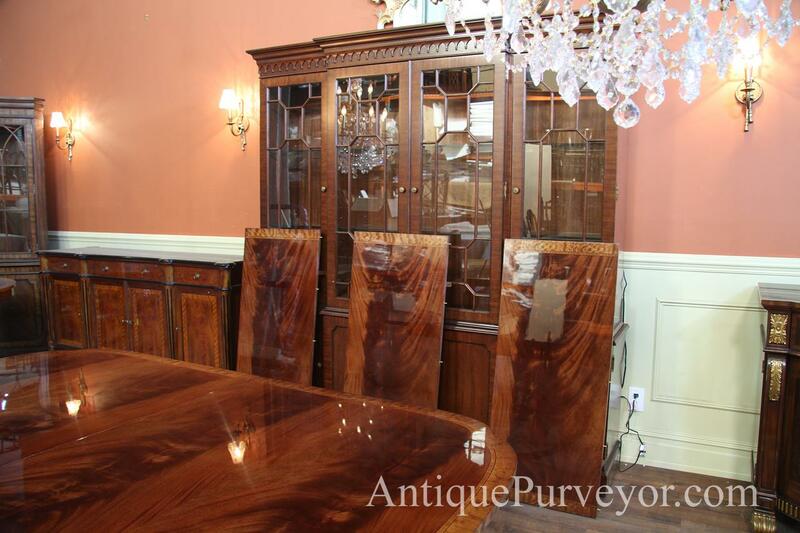 Made in America and similar to Stickley's scallop corner dining table. 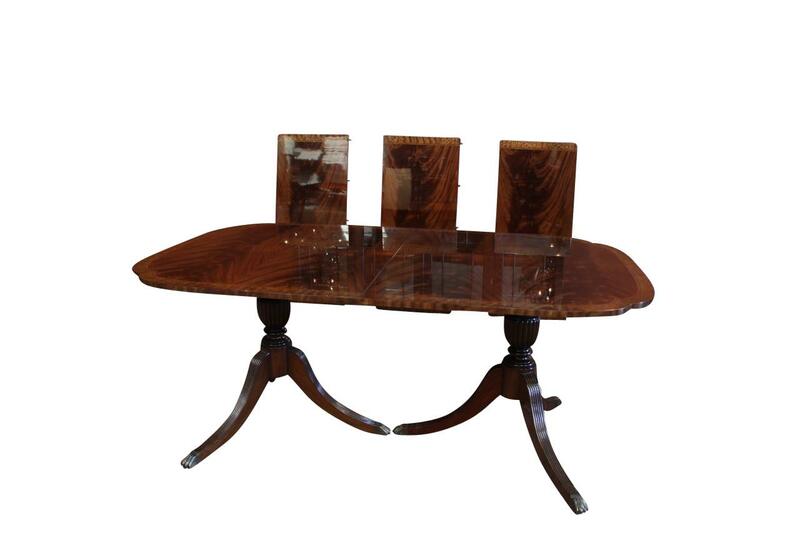 Fitted with American steel table slides for solid performance in any configuration, this table is second to none in terms of quality and price points. 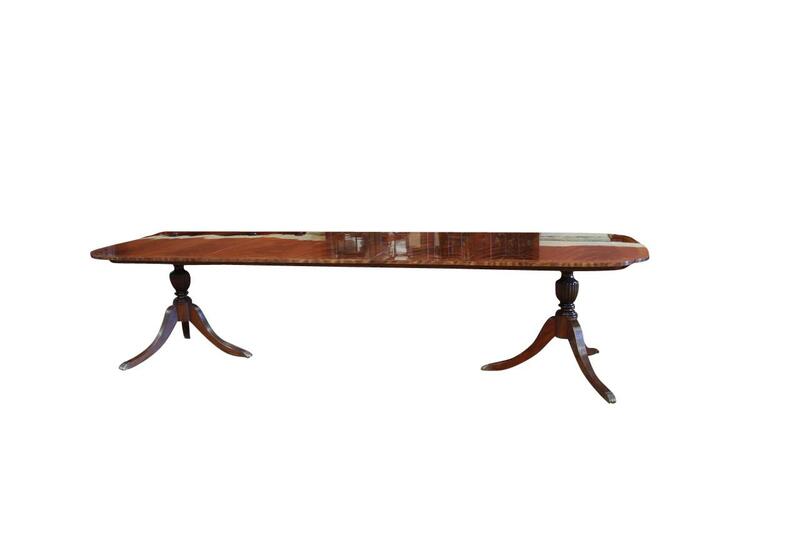 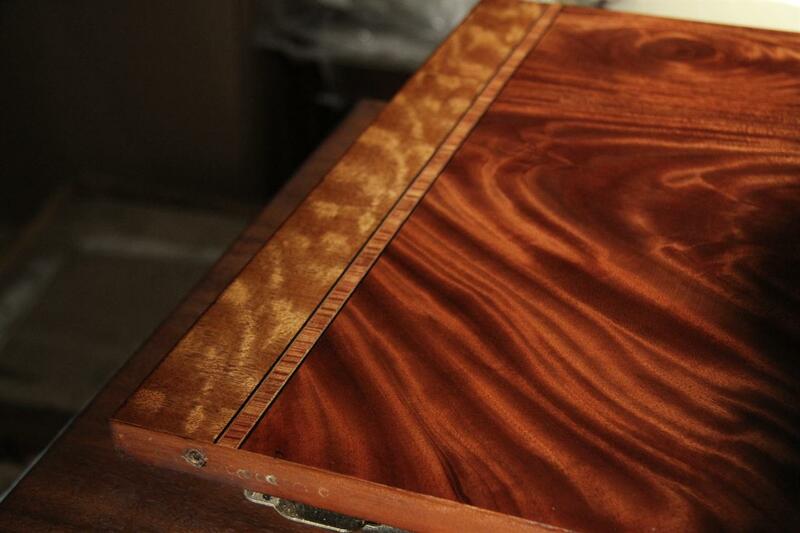 Table face has dynamic flame mahogany field which offers the homeowner two completely different looks in one table. 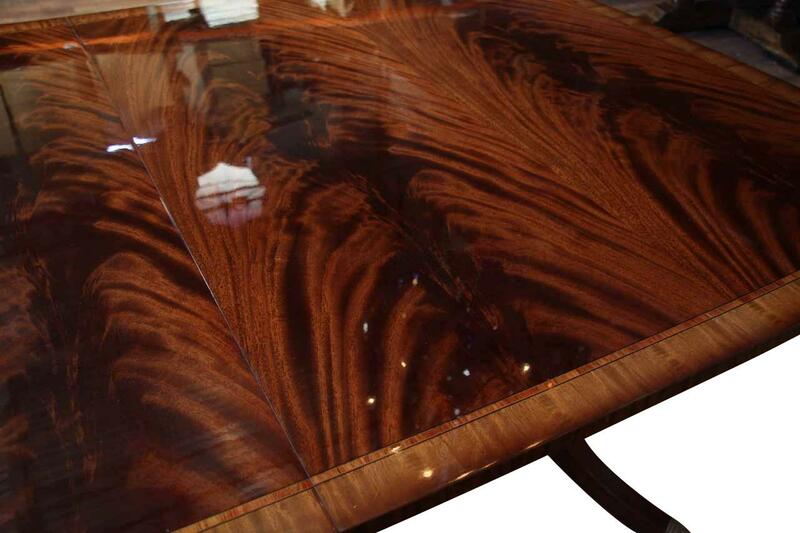 From one long side of the table, the grain is rich and figured with natural mahogany tannins and shows a wider range of color. 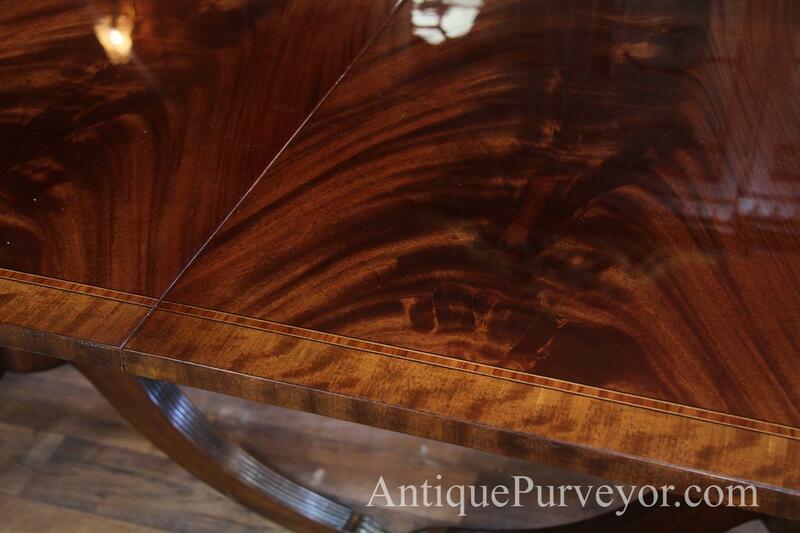 View the table from the opposite side for a softer, less range of color. 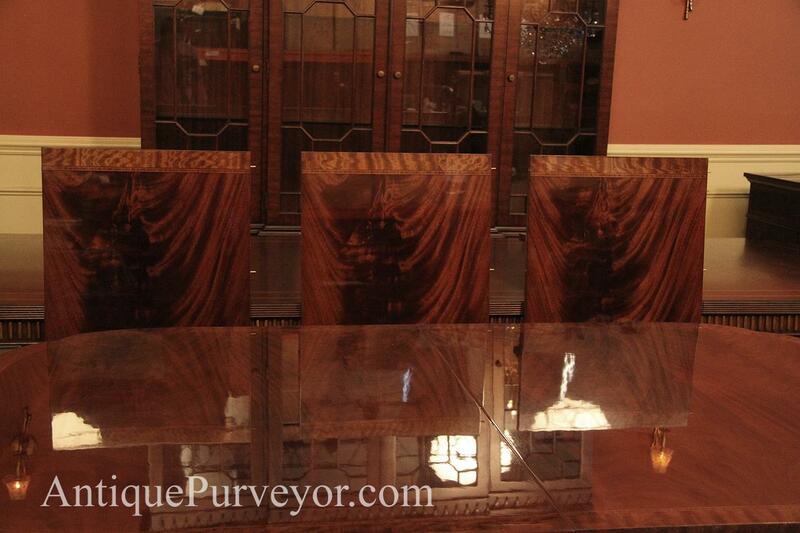 We show this phenomena in the pictures below and if you read each caption you'll see these two views.